Best of luck Stuart in the Pro D2. You will be great and all of us at the UAFC will be supporting you. We can post articles here about Brive and keep each other up to date with Stuart and his new club. Actually ordered my shirt this evening. Their kit is nice. I ordered a USAP shirt today. Looks like Stu has his shirt too. Pro D2 fixtures for 18/19 released. Where does one order Brive Shirts from ? HwoodMike2umate wrote: Where does one order Brive Shirts from ? 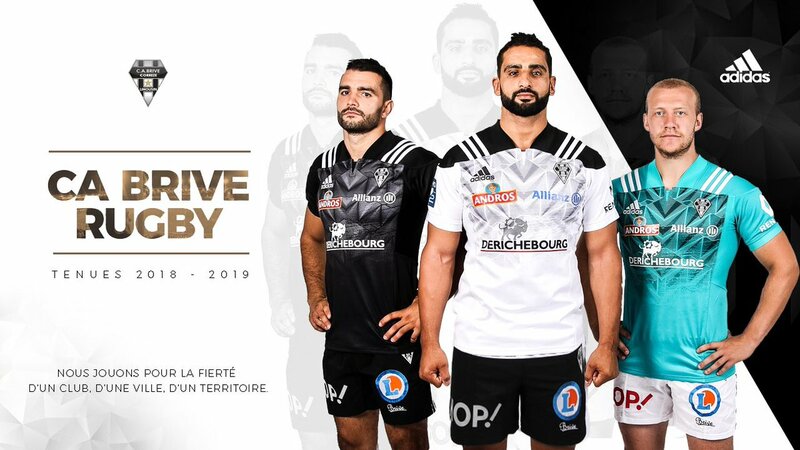 Definitely prefer the Brive shirt. The USAP one reminds me of the Ireland 2007 shirt. Can't seem to buy the Brive one yet. Interesting both clubs are using our boys to advertise their merchandise. Jackie Brown wrote: Interesting both clubs are using our boys to advertise their merchandise. Yep. The social stigma is waining and didn't really follow them to france. They have the x-factor. 42.ie is a gauge of sweet nanny Adams. It is populated by trolls and the prawn sandwich Leinster brigade. When you read about a NI Councillor sexually abusing a young girl and refusing to resign it just shows how unfair and sectarian it was to dispense with the services of PJ and SO. Also reading that there was a big brawl outside Ollies the other night. It would be too much to hope that a certain young lady was there and got a good slap in the gob. Jetstream wrote: When you read about a NI Councillor sexually abusing a young girl and refusing to resign it just shows how unfair and sectarian it was to dispense with the services of PJ and SO.